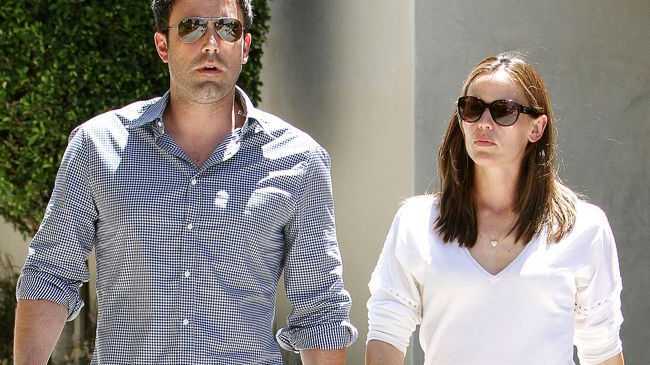 BEN Affleck still likes all of his ex-girlfriends "quite a bit." The 42-year-old actor, who is married to Jennifer Garner, previously romanced a string of beauties, including Gwyneth Paltrow and Jennifer Lopez, and insists there is no bad blood between any of them. He said: "I've been really lucky in my personal relationships. I look back and think the major relationships I've had were all with really good people who I like quite a bit still to this day." But Ben credits his wife of nine-years, with who he has three children, Violet, eight, Seraphina, five, and Samuel, two, for his success in Hollywood. He said: "Getting to know Jennifer, falling in love with her and being connected with her gave me a foundation to reach out and say, 'Okay, I'm going to do 'Hollywoodland'. I'm going to direct 'Gone Baby Gone.' Those were the steps forward I needed to put positive stuff on the board." Ben and Jennifer have worked together in the past, but he doesn't think they'll team up again, as their movies were unsuccessful. He told Britain's Loaded magazine: "My wife and I made 'Pearl Harbor' and 'Daredevil'. With our track record, I don't know if anyone's looking for a three-quel. "She won most of the fights in the movie ['Daredevil'], which was a pretty good predictor of what would happen down the road -- my wife holding swords and beating the living s**t out of me."